Things go horribly wrong for Alex on Nikita. "Dead or Alive" is the second episode of the show's fourth season. Sean and Alex are coming to the rescue! 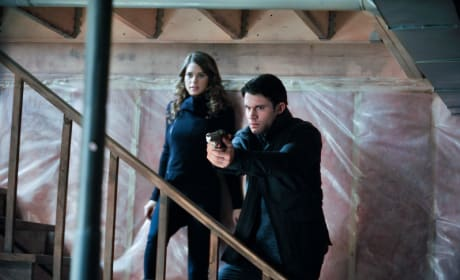 They are seen here in a scene from the Nikita installment "Wrath." Alex looks on here as Sean is in the background of this scene from the Nikita episode "Double Cross." Gather around, reporters. Alex has something to say in this scene from the Nikita episode "Origins." Nikita holds Sean at gunpoint in this photo, while Alex stands by. It's a scene from "Sanctuary." Katheryn Winnick is seen here as Kelly. She's on board as Nikita's former partner. 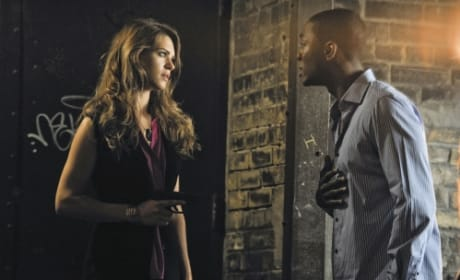 Pictured in this photo from season two of Nikita: Lyndsy Fonseca as Alex and BJ Britt as Justin Markinson. This will be a constant theme on season two of Nikita. Alex and her mentor aren't exactly tight these days. Alex is down in this shot from the second season premiere of Nikita. But she's probably not out. 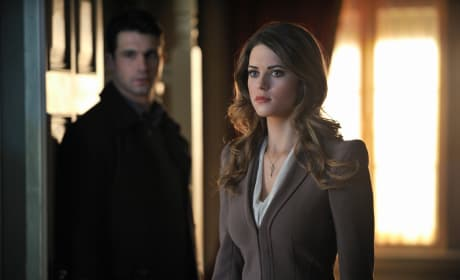 Lyndsy Fonseca stars on Nikita as Alex. She'll go up against her mentor on season two. 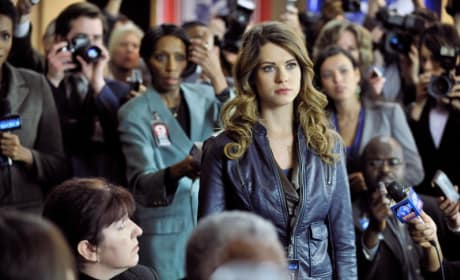 Nikita and Alex are seen here during the first season finale of Nikita. It was quite an episode! Jaden and Alex in a photo from next week's Nikita. "Girl's Best Friend" airs April 21 on the CW. I recommend the Zephyr's Kiss. It sets Birkhoff back 12 grand a bottle. The last word they breathe before the end, will be my name. Permalink: The last word they breathe before the end, will be my name.